In Odallus: The Dark Call, players are transported into a medieval fantasy world where evil creatures lurk around every corner. When the gods abandon their people, the town of Glenfinnan becomes prey to the darkness and is destroyed by monsters. The player controls Haggis, a retired soldier who is on a quest to save his son from the darkness. The game is a trip down memory lane for many NES fans, and while it does offer nostalgia, it also brings its own story to the table. Odallus isn’t as easy as it seems. Much like classic games, there are no cheats to get you unstuck, no mods to avoid death, nothing; you have to rely on your own skill or call up a friend for help. Different enemies have different attack patterns, and learning them helps to make the game a little more manageable. Sure, hitting them at random works, but sometimes the loss of HP just isn’t worth swinging your sword around without a plan. Bosses at the end of levels are even trickier: not only do you need to know when to hit them, but where. If bosses are hit anywhere but the designated area, the attack won’t do any good. 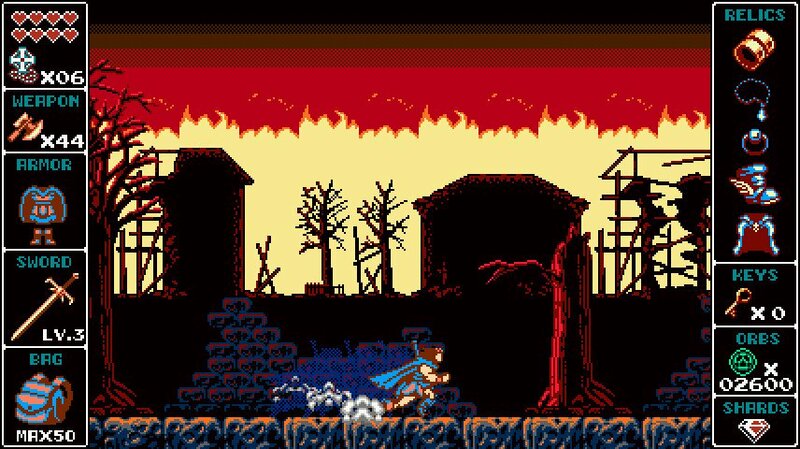 Odallus is very metal, aside from the aesthetic and sombre music. When creatures are hit, they drop coins called spirit orbs. These work as currency and help you buy items from the merchant. They’re essentially the souls of those creatures who used to be human. Oddly enough, the merchant is eager to collect them. There are eight locations to venture through. The four ground levels are the main ones, which are unlocked when the previous level is completed. There are then four sub-locations that need to be discovered via exploration. Along with this, there are armour, weapons, and abilities that can be found while exploring. Admittedly, there is a lot of backtracking to do once you get these abilities, but there’s also plenty of secrets hidden about that can only be unlocked afterwards. Keyboards and controllers can be used just the same. Both work well but there are times when one works better than the other. The Xbox controller is the most efficient thanks to the D-pad, and there are times when trying to jump and catch the edge of a surface requires something a little tighter than the thumbstick. A lot of time and consideration went into this game to make it challenging. There’s the fact that bosses need to be hit in certain spots, as well as the fact that certain weapons work better on some creatures than others. There are also different details in the worlds like when Haggis is walking in a stream, it makes him slide in a certain direction. Odallus is supposed to be finished within four hours, but depending on the individual player, it may not be the case. There’s a lot of land that needs to be covered in order to clear 100%, and it could take a while, considering the difficulty. Your final score will even determine the ending of the game. 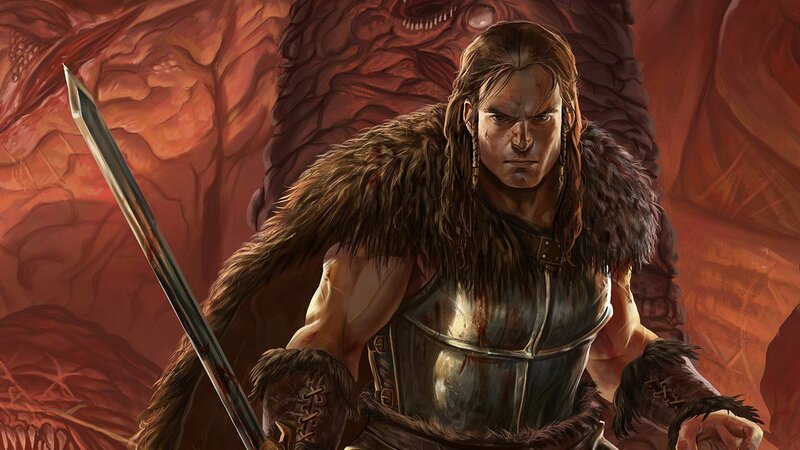 Overall, the Odallus: The Dark Call is great to play. It may be frustrating at times, thanks to the level of difficulty, but with that said, it’s nice to have a game where not everything comes easy for a change. It’s a game of skill and patience. Combine that with an aesthetically pleasing design and a simple but solid story, and you’ve got yourself a great little game.